Evening all: I’m just dropping by with a quick question to all of my super-knowledgeable friends, during my short visit home from Portavadie and before yet another busy weekend. We have our family Secret Santa day tomorrow! 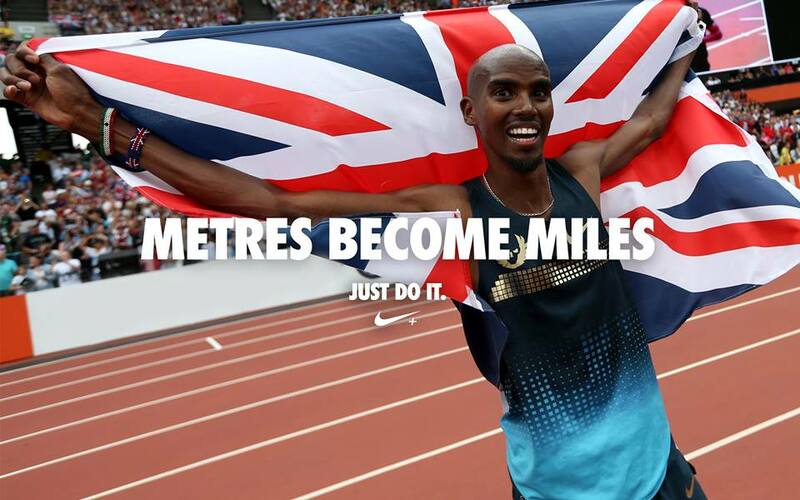 Those of you who are fans will have seen that, for Mo Farah, 2014 is about moving from metres to miles. In 2014, Mo will run a marathon. Now, the question I have is: can I do the same? I’ve been eyeing up The Loch Ness Marathon for some time, following some twitter encouragement from @pt_steveb . I must admit, I am seriously tempted. But, can this serial short-distance jogger of 5Ks, 10Ks and half marathons step up and do the big one? Heck Ya you can! You already have the base and if you train and up the mileage I am sure you can do it!! Go forward and marathon!! 🙂 Eeek! Thanks for the encouragement! When I was training for a 10K, I changed my Garmin units to Km and when I did a half measured my runs in miles, all physiological! I’ll admit that I do exactly the same thing, between 10k and half training too! I think I’ll stick with miles from now on. You most certainly can lady! I am making 2014 my year to do the big one and I have never done it before. We got this. Really? Well, that’s yet another coincidence! Yup! We are again on the same page. Yes we are for sure. Check out Jeff Galloway’s training plans for the marathon if you really want to ease into it, or Hal Higdon’s training plans if you feel confident as a runner. I used Hal Higdon – LOVE his plan as you can customize it to your abilities. Here’s one of the easier ones, but there’s several iterations of the marathon program on his page. It’s all about finishing, right? Of course you can do it 🙂 I’m signing up for my first marathon in 2014, and like you I’ve done a few 5k’s, 10k’s and 2 half marathons so it’s a big step up, but if you give yourself plenty of time (16-20 weeks) and you put in the hard yards to train for it then it’s definitely doable. So similar in terms of running to date! Hope your training is going ok! Having done my first (and only) marathon last year I say definitely do it. It is a wonderful experience and one that I will never forget. And if you’ve done half marathons it is well within your capablility. Of course you can! Plenty of time to progress your mileage. See you there! Why couldn’t you? You could technically create another human between now and then so I’m pretty sure you can train to run 26.2 miles! Now, that’s a really good point! Thanks! Go for it! The loch Ness marathon looks like fun. If you have done some half’s I think you should be able to train safely for a full. It is intimidating though! And takes much more training time. But it is such an accomplishment. Good luck with your decision! Hayup! Just follow a proper training plan, take advantage of rest days, cross train, and have fun! I do like the sound of rest days, of course! And I do really want to be a Dopey Challenger, too, so maybe I really need to get it done! I have no doubt you can with a proper plan in place! Go for it! General consensus looks like a “yes”. I’d go with that. Do it! I don’t speak from experience but just from one runner to another. I’m sure it will be hard work and many hours of training, but there is a great reward in the end – to call yourself a marathoner. Good luck! Yip- that’s a title for life! I’d love to do the Loch Ness as it looks amazing. I’ve only done one marathon, the jump is much bigger than from 10k to 13.1 (and the training is a killer) but its something that I’m really glad I did. Its a pity to stop at a half after all right?